If you are simply processing your telecom invoices without first giving them a detailed review you may be overpaying. While most of us would think that organizations as sophisticated as those in the telecom industry would have accurate billing system, most of us would be wrong. There is a whole industry dedicated to helping commercial customers scrutinize invoices, identify, correct and collect overpayments charged by even the largest telecom service providers. Although it may not necessarily be a universal problem, meaning that every invoice is incorrect, it’s certainly serious enough to warrant suspicion even if you don’t have an extraordinarily high telecom spend. This observation is not just idle speculation. It’s a fact based on years of experience in auditing telecom services, correcting thousands of invoices and recovering millions in overpayments and credits for our clients. Almost all of these recoveries were for organizations that simply pay what is due without any suspicion that they may be overpaying and may have been for quite a while. Lack of regulatory or industry oversight and unintended consequences of deregulation. Leaps in technology and the introduction of new technologies and applications. Gaps in what the customer thinks they bought versus the reality of the specific service and the rate table associated with the service that was installed. Mistakes associated with the original service order or changes requested by the customer or required by the supplier during service implementation. Overly complex billing systems that have evolved through industry consolidation, mergers and acquisition. Given all of this, how do you identify and stay ahead of the problem? You can; 1) learn the nuances of telecom billing and do the auditing yourself, 2) hire an individual who has the knowledge and experience to regularly audit invoices or 3) hire a third party subject matter expert to do it for you. All of these do add some level of added work and/or cost. However, the up side of eliminating on going or even periodic overcharge situations could more than offset the extra cost and generate a reasonable internal rate of return, something that we do routinely do for our clients. Having been involved in hundreds of large overbilling situations, it would be easy to conclude that some, if not all, overbilling is intentional. However, we’re fairly confident that it’s not and has more to do with the factors noted above plus that fact that there seems to be limited (if any) incentive for the supplier to correct the issue as long as most customers simply pay the bills. What’s interesting is that, while some service providers insist that their billing systems are accurate and don’t have any systemic issues, they work very hard to limit a customer’s ability to perform an audit and recover overpayments. Toward that end, most have implemented policies and modified standard contract language that, in an increasing number of instances, limit a customer’s audit window to as little as two billing periods. This means that if you don’t quickly tell them of an overcharge, they will not refund any overpayments made prior to the two month audit window. If you are a high profile/large spend customer you might have more leverage in extending the recovery period beyond the 2 months. If not, your options are likely limited. While the FCC is still empowered to regulate all forms of communication, their focus on traditional telecom services and providers has waned since the industry was deregulated in 1986 and they are unlikely to jump back in to address the issue. While our practice fills the void for our growing list of clients, our efforts don’t do anything for the consumer as a whole which is inclusive of both commercial and noncommercial customers. 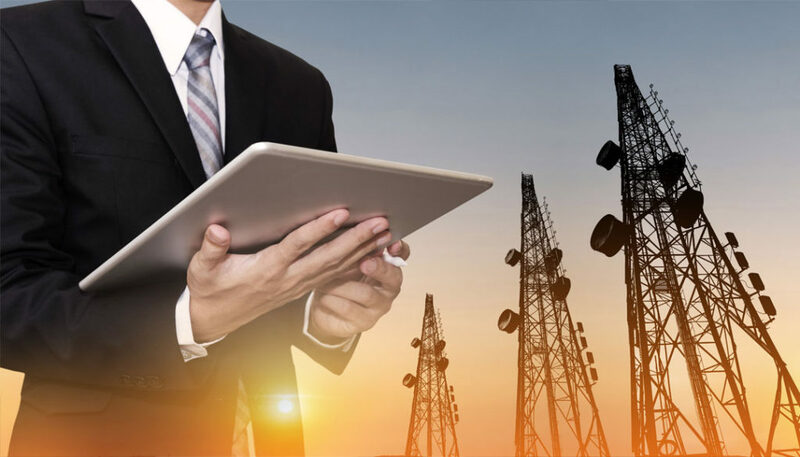 With most of us having multiple personal wireless services and, to an increasingly lesser extent wired telecom services, that can have an aggregate cost that rivals many small businesses. The service providers don’t discriminate when it comes to inaccurate billing. One quick personal example should help to explain one way the issue can impact you personally. Prior to leaving the country this summer for a European vacation with several family members, we all made similar changes to our wireless programs. These changes were going to extend our domestic US calling and data volumes and privileges into Europe for a flat daily fee. Of the three changes requested, two of which I did myself, only one was implemented properly. The other two received overcharge notices. The notice I received suggested that I had incurred $1,000 in additional charges during my first three days in Europe. While I was quick to react by calling the provider to get the situation resolved, I don’t think that my actions necessarily represents the norm from either the amount of the overcharge or my reaction to it. My suspicion, based on other out of country experiences, suggests that a more modest overage notice could/would go unchallenged. Even though I know better, I’m guilty of ignoring such notices in the past and have opted to simply pay the minimal extra cost rather than deal with the distraction. By the way, the resolution for my European billing issue wasn’t applied immediately. It required the application of the erroneous charge which was then to be followed by the application of a credit to offset the overcharge both of which probably wouldn’t occur on the same invoice. Who has the time to follow up on this and confirm that, at the end of the day, you’re still not getting cheated?! Like a casino, the odds of the supplier resolving a telecom billing issue in your favor is probably long and clearly seem to favor the house who, in this case, is the supplier. So, what can we conclude and what, if anything, can we do to avoid being overcharged for what is already a very costly, but necessary, tool for both commercial and personal use? Other than being vigilant, not much. Organizations like ours can help if it’s commercially feasible for both parties. Unfortunately, our efforts don’t do anything to resolve the universal problem and, as far as we know, no one is addressing it at that level. We’re basically left with needing to follow the basic principal of contract law, Caveat Emptor/let the buyer beware. This basic concept is certainly valid and applicable when dealing with your telecom supplier, their complex contracts and error prone billing systems.